If your child will turn 5 on or before September 1, please come to the kindergarten orientation event happening at your school, or contact your school (Find Your Neighborhood School) to enroll for fall 2019. In Eugene School District 4J, we know how important the kindergarten year is. For many children, kindergarten is the beginning of their education and their first steps outside the familiarity of home. For many parents, it’s the start of a relationship with their public school system. Kindergarten students need a chance to start developing a love of learning. They need to feel comfortable in school as they learn basic skills and information, how to act around others, how to work in a group and how to listen and share. Parents need to establish regular, open communication with school staff so that students can get the most out of their education from kindergarten all the way through high school. 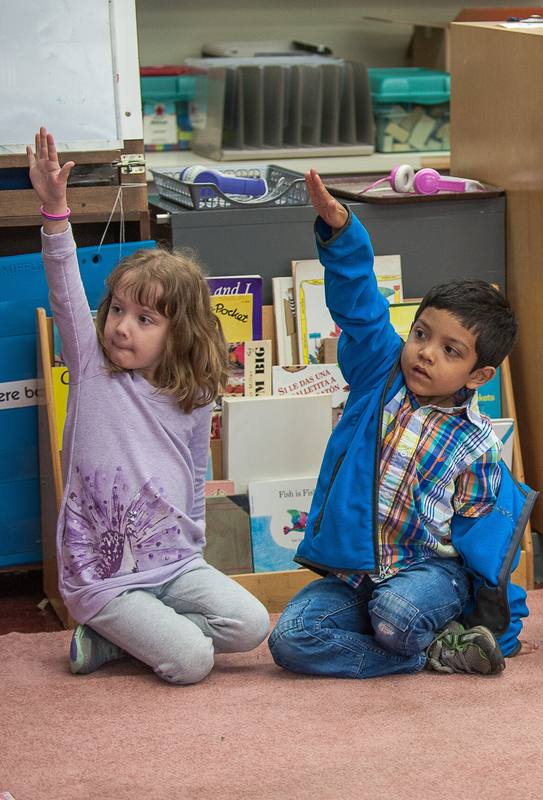 The 4J kindergarten program strives to give parents and students the right start in education by caring for and understanding each child’s needs and each parent’s concerns. We encourage parents to contact their school whenever they have questions or concerns. New in 2018–19: Kinderzone! This fall we introduced a new welcoming start to school for our youngest students. During Kinderzone, the first few days of school, students interacted with all their school’s kinder teachers and students in small group activities. Teachers then developed class lists to best fit each student’s needs and posted them at the office at the end of the first week of school. With Kinderzone, we can provide every student individual attention and purposeful placement for a happy and successful start to school. Welcome to kindergarten and to 4J schools. Working together, we can build a path to a successful future for every child.